This Eye of Sauron is the magnificent ringed star HR 4796A, in the southern constellation of Centaurus. 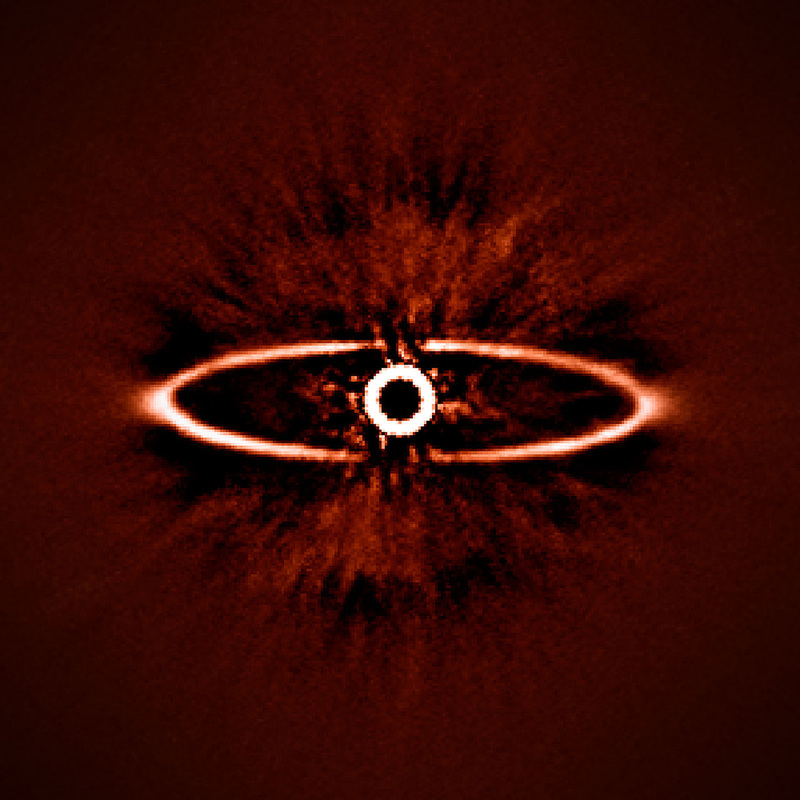 It is one of the first images produced by SPHERE, the Spectro-Polarimetric High-contrast Exoplanet Research instrument, installed last month on the ESO’s Very Large Telescope atop Cerro Paranal in Chile. To a typical optical telescope, HR 4796A’s dark centre is a blazing disk of starlight that swamps the weaker glow of the dust ring. SPHERE filters out the star’s light to acquire exceptionally sharp images like this. The instrument also corrects for the effects of Earth’s atmosphere and can differentiate between starlight and a planet’s glow, on the basis of the colour and polarisation of light. These talents will allow SPHERE to discover planets orbiting distant stars and study them with spectacular clarity. This entry was posted in ASTRONOMY, ASTROPHYSICS and tagged HR 4796A, SPHERE. Bookmark the permalink.